Also check out what other events are scheduled around the Philadelphia area. Festival and events for all types of people are taking place this weekend. There will be a festival for food fans in Marlton and Cherokee High School’s spring musical, a parade of pirates in North Wildwood and a festival for artists in Oxford Mills. Check out what other events are scheduled around the Philadelphia area. 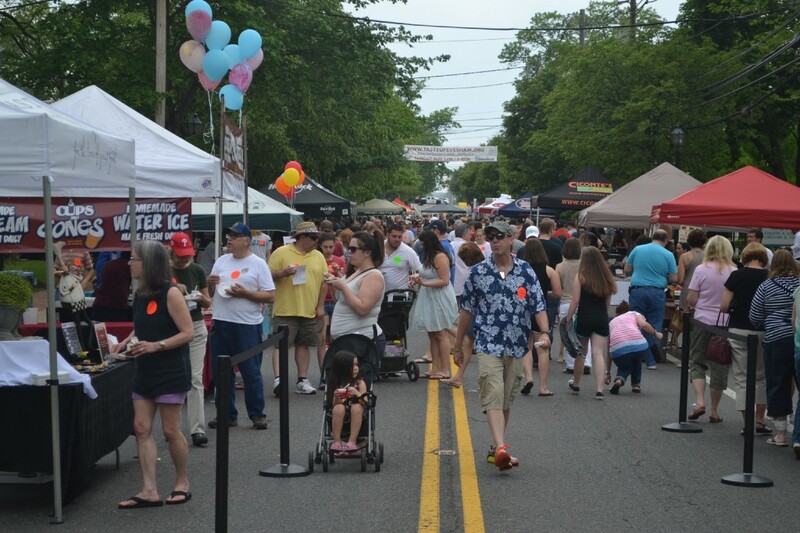 Food lovers will flock to Evesham Township on Sunday, May 21, for the annual Taste of Evesham. It will take place along Main Street from 1 to 4 p.m. Dozens of restaurants are scheduled to appear at the event and offer samples of their best dishes to guests. There will also be food demonstrations and live entertainment. The cost of admission is $10 for adults and $5 for children ages 4 to 12. Children ages 3 and under are admitted for free. Visit www.eveshamcelebrations.org for more information. Cherokee High School’s production of “Anything Goes” debuts on May 19, with repeat performances on May 20, May 26 and May 27 at the school’s Performing Arts Center, located at 130 Tomlinson Mill Road. All shows start at 7 p.m. Tickets are available for $12 each and can be purchased before the shows at www.cherokeedrama.org. Tickets will also be available during the evening of the performances starting at 5 p.m. Senior Citizen “Gold Cards” can only be used for the Saturday, May 20 performance. Any questions about tickets or the shows can be directed to the box office at (856) 983–3366. On May 20, residents are invited to attend a free opioid epidemic awareness and educational expo entitled “Conquering the Epidemic” at DeMasi Middle School from 9 a.m. to 4 p.m. The event is being sponsored by non-profit “King’s Crusade,” which was formed by Marlton resident Sue Harrison and her sister in memory of their brother, who they lost to a heroin-fentanyl overdose in October of last year.There will be speakers and classrooms with interesting topics and important information to choose from. Visit www.kingscrusade.org to learn more. Washington Township is hosting its annual Super Saturday community event at Washington Lake Park on Saturday from 10 a.m. to 4 p.m. The event includes entertainment, food, vendors, activities, amusement rides and more. It is free to attend. Visit www.twp.washington.nj.us for more information. Locals can lend a helping hand to the Cherry Hill High School East chapter of Habitat for Humanity on Saturday. The group will hold its semi-annual Stuff-A-Truck event from 11 a.m. to 3 p.m. at the Cherry Hill East student parking lot. Locals are invited to donate a variety of items, including appliances, furniture, building materials, outdoor equipment, clothing, blankets and shoes. For a full list of items to donate and more information, visit www.cherryhillsun.com/cherry-hill-easts-habitat-for-humanity-chapter-hosting-stuff-a-truck-event-on-may-20-6d214b3e4710.